Dream The Electric Sleep (DTES) is a progressive, concept-rock band from Lexington, KY. Drawing from a variety of influences that include Genesis, Rush, Killing Joke, Philip Glass, Neurosis, King Crimson, Pink Floyd, Radiohead, Led Zeppelin, U2, and Black Sabbath, DTES present an abnormally eclectic mix of genres and musicality. Includes unlimited streaming of Lost And Gone Forever via the free Bandcamp app, plus high-quality download in MP3, FLAC and more. Formed in Winter 2009, guitarist and vocalist Matt Page, former guitarist Trevor Willmott, and drummer Joey Waters (then members of the band "Jack") recruited bassist Chris Tackett. Tackett, formerly of the bands Chum (Century Media) and Hyatari (Earache), helped shape a new direction and sound for the band, that would eventually become DTES. 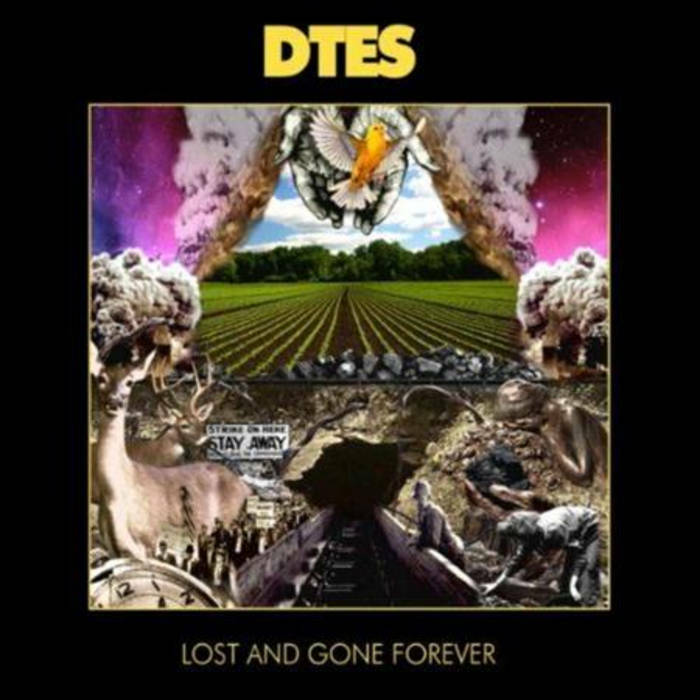 In late 2009, DTES started work on a concept album (two years in the making) that explores the trials and tribulations of an Eastern Kentucky coal miner and his wife. The result is the band's debut LP, "Lost and Gone Forever" - a genre-bending opus that not only reflects the bands mixed bag of influences, but charters some new territories as well. Progressive, genre-bending Rock for fans of Pink Floyd, Muse, Queen, Kings of Leon, Doves and Radiohead.